Any help you can offer with a recommendation to resolve this would be greatly appreciated. Thank you. Thanks, Nicolas. I will close the issue. Hi, I add the same issue today. But on the production environment the value of DATABASE_URL is set on the server. 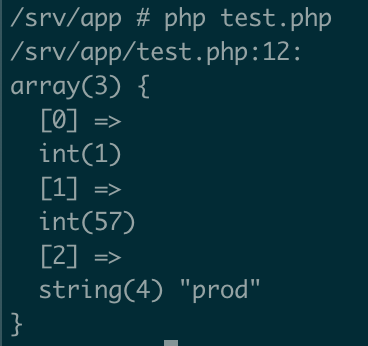 The problem here is that composer dump-env prod creates a file with the DATABASE_VALUE of the .env file and Symfony never uses the server value. @nicolas-grekas can't we merge the values stored in $_SERVER with the values dumped in the .env.local.php? can't we merge the values stored in $_SERVER with the values dumped in the .env.local.php? that's exactly what should happen already, dumped values should always be defaults and should never override existing real vars. Please provide a reproduce if that's not what you experience. It seems that $_ENV is empty at start and thus getenv('foo) , which I think EnvVarProcessor::getEnv uses, returns baz. That's why I have my issue. @nicolas-grekas Don't you think that Dotenv::load should be used here instead of adding $env to $_SERVER and $_ENV?